How can we make medicines with fewer nasty side effects? Professor Ijeoma Uchegbu is a designer. She designs medicines to have fewer side effects by researching and developing ways to deliver drugs to different areas of the body. Watch the video to learn about pharmaceutical nanoscience and to hear her inspiring story with a key message — if you are working hard and it’s getting to be too much, ask for help. The Rosalind Franklin STEM Ambassadors sat down with Professor Uchegbu for an interview session after her talk. Watch her respond to their questions in the below videos. Visit the Q&A page for more scientist interviews! Check out The Rosalind Franklin STEM Ambassadors Teacher Toolkit for everything from classroom ready lessons on STEM Role Models, including Professor Uchegbu, to science communication skills tasters. Ijeoma Uchegbu is Professor of Pharmaceutical Nanoscience at the UCL School of Pharmacy, UCL’s Pro-Vice Provost for Africa and The Middle East and Chief Scientific Officer of Nanometrics Ltd. Nanometrics is a UCL spin out company, which was founded by Ijeoma and Andreas G. Schätzlein. Nanometrics recently licensed NM133 to Lacta Pharmaceuticals. Nanometrics also recently won first prize for its Molecular Envelope Technology at the Royal Society of Chemistry’s Emerging Technologies Competition 2017 in the Health category. Ijeoma has been awarded various prizes for her work, notably the UK Department for Business Innovation Skills’ Women of Outstanding Achievement in Science Engineering and Technology award, the Royal Pharmaceutical Society’s Pharmaceutical Scientist of the Year 2012 and the Academy of Pharmaceutical Sciences Innovative Science Award 2016. 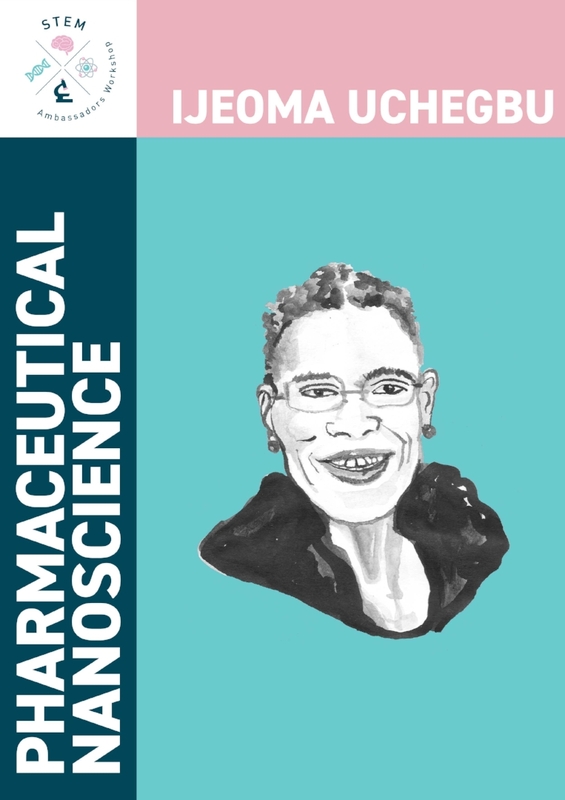 Ijeoma was elected to the Controlled Release Society College of Fellows in 2013 and was made an Eminent Fellow of the Academy of Pharmaceutical Sciences in 2013. Ijeoma is the editor of three books, a named inventor on 11 granted patents and has authored over 120 peer reviewed journal articles and book chapters. Ijeoma’s research has been featured on BBC Woman’s Hour and more recently in The Guardian.